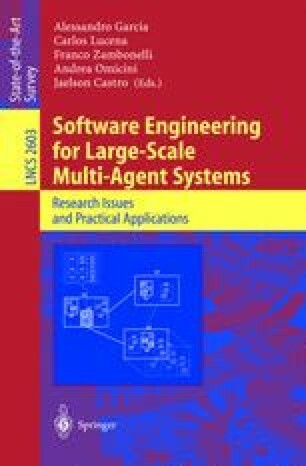 Agent-based software engineering has been proposed in addition to object-oriented software engineering as a means of mastering the complexity associated with the development of large-scale distributed systems. However, there is still a poor understanding of the interplay between the notions of agents and objects from a software engineering perspective. Moreover, the many facets of agent-based software engineering are rarely used in the various phases of the software development lifecycle because of the lack of a comprehensive framework to provide the software designers with a clear understanding of the use of these two key abstractions. In this context, this paper presents TAO, an evolving innovative conceptual framework based on agent and object abstractions, which are the foundations for modeling large-scale software systems. The conceptual framework allows for the characterization of largescale software systems as organizations of passive components, the objects, and autonomous components, the agents, with each of these elements playing roles to interact with each other and to coordinate their actions in order to fulfill system goals. Object Management Group: OMG MOF-Meta Object Facility (MOF) Specification. Version 1.4, April, (2002). Available at URL http://www.pmg.org/cwm. SoC+Agents Group. Separation of Concern and Multi-Agents Systems Group. Available at UR: http://www.teccomm.les.inf.puc-rio.br/SoCagents/.